The novel selection for the 2018 NEA Big Read is Into the Beautiful North by Luis Alberto Urrea, originally published in 2009. Into the Beautiful North is an adventure story, sometimes humorous, sometimes tragic, about a young girl from Mexico going on an epic quest to save her small town. Inspired by the classic western film, The Magnificent Seven, she heads north across the U.S. Mexico border to bring back her own "Siete Magníficos" to protect her home town in rural Mexico. ​With humorous, insightful prose Into the Beautiful North examines what it means to be a hero, the meaning of community, and the search for love and belonging. Into the Beautiful North has delighted readers with it's colorful cast of characters. The novel was chosen as the NEA Big Read selection for Lake County by community survey. 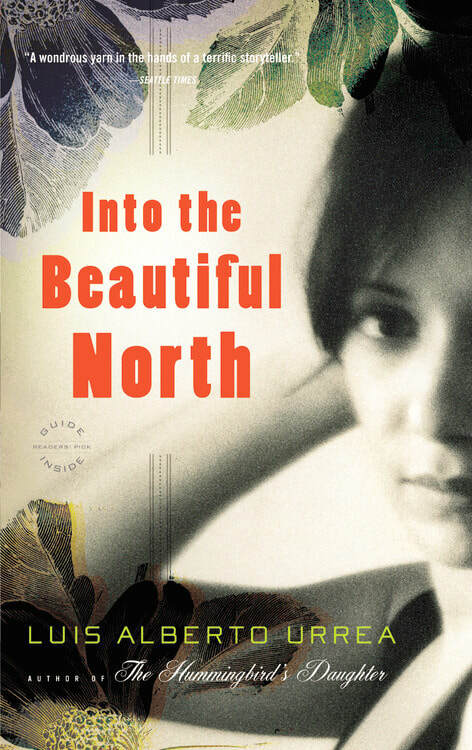 Read more about Into the Beautiful North at the NEA Big Read's website! Free copies of Into the Beautiful North will be available first come, first serve at public libraries and at Big Read events during the month of October 2018. You can also find copies of Into the Beautiful North, in digital, print, and audiobook on the Public Library catalog here.